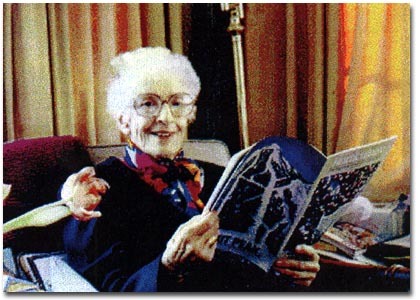 May Sarton, the only child of George and Mabel Elwes Sarton, was born in Wondelgem, Belgium in 1912. In that same year George Sarton, a historian of science, founded the journal Isis and, as May Sarton described, “My father always referred to us together and dedicated one of his books to ‘Eleanor Mabel, mother of those strange twins, May and Isis. '” From her father May learned about discipline and a fierce dedication to work and from her mother, an artist and designer, she learned about dedication and creativity, whether applied to gardening or to life. In 1916 the Sartons arrived in the United States after fleeing Belgium and the advancing Germans, settling in Cambridge, Massachusetts where George Sarton took up a post at Harvard as a part-time instructor and, with financial assistance from the Carnegie Institute, as a full time scholar, devoting his life to the study of the history of science. May enrolled in the “progressive” Shady Hill School and here, through the influence of Agnes Hocking, founder and poetry teacher, developed her life long love for and interest in poetry. May Sarton later wrote eloquently of these years in her memoir I Knew a Phoenix. When she was twelve years old Sarton traveled to Belgium for a year to live with the Limbosch family, Celine, Raymond and their children, studying at the Institut Belge de Culture Francaise. It was here she met Marie Closset, its founder who wrote and published poetry under the name Jean Dominique. Closset remained an intimate friend and mentor of Sarton’s and became the inspiration for her first novel, The Single Hound. The Cambridge Rindge and Latin School, formerly Cambridge High and Latin, where Sarton attended high school. May Sarton graduated from the Cambridge High and Latin School in Cambridge in 1929. Although winning a scholarship to Vassar, she had been smitten, much to the chagrin of her father, by the theater after seeing Eva Le Gallienne perform in The Cradle Song. From that moment forward she was determined, upon graduation, to join Le Gallienne’s Civic Repertory Theatre in New York. Even while spending a year as an apprentice, honing her speaking voice, learning the basics of theater, and devoting herself to the study of acting, Sarton wrote poetry. At the age of seventeen a series of sonnets was published in the December, 1930 issue of Poetry magazine, some of which were included in her first published volume, Encounter, in 1937. In 1931 at nineteen, Sarton traveled to Europe and lived in Paris for a year while her parents were in Lebanon. This marked the beginning of a lifelong adventure of annually visiting Europe, where she would meet a series of extraordinary people, including Virginia Woolf, Elizabeth Bowen, Julian and Juliette Huxley, Lugne-Poe, actor and founder of the Theatre de l’Oeuvre, Basil de Selincourt, and S.S. Koteliansky. It was in this electrically charged atmosphere that she wrote and published her first novel, The Single Hound, in 1938. Her aspirations to act and direct in the theatre were dissolved in 1935 when her own Associated Actors Theatre failed, a victim of the Depression. From that point forward, Sarton turned to writing as her life’s profession and never looked back. The end of the 1930s was a rich, creative time for Sarton as her second volume of poetry, Inner Landscape (1939) appeared and the novel, Fire in the Mirror, was completed, although never published. In 1940 Sarton undertook what was to become an annual poetry reading/lecture tour of colleges throughout the United States, beginning in Santa Fe, New Mexico. During the first half of the 1940s she worked at Pearl Buck’s East and West Society in New York, writing documentary scripts for the United States War Information Office, all while continuing to produce poetry and novels. Finally, in 1946, her novel The Bridge of Years was published, followed two years later by the volume of poetry, The Lion and the Rose. 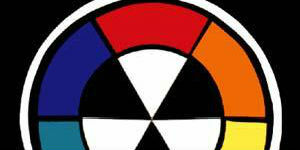 Sarton continued to meet many prominent artists and writers, including H.D. (Hilda Doolittle), and Bryher (Annie Winifred Ellerman McPherson), Stephen Spender, W. H. Auden and the Sitwells: Dame Edith and her brothers, Osbert and Sacheverell. 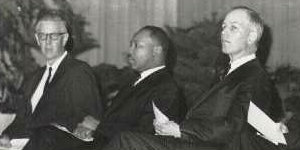 The 1950s, although filled with accomplishments, brought many tragedies, beginning with the death of her mother in 1950 and of her beloved Marie Closset in 1952. The losses, though great, would be tempered by meeting Judith Matlack, the woman with whom she would live for fifteen years, and to whom she would remain devoted until Matlack’s death in 1982. In these years, she published her third and fourth novels, Shadow of a Man (1950), and Shower of Summer Days (1952), as well as a volume of poetry, The Land of Silence (1953) which won the Reynolds Lyric Award. In 1954 Sarton wrote her first memoir, I Knew a Phoenix, excerpts of which first appeared in the New Yorker. This genre became an important one for Sarton and brought her a tremendous audience of readers and correspondents. Her next novel, Faithful Are the Wounds was published in 1955 and eventually led, in 1958, to a dual nomination, together with her volume of poetry, In Time Like Air, for a National Book Award. Although neither won the award, In Time Like Air is considered by some critics, including poet and scholar Constance Hunting to be one of Sarton’s best books of poetry. By this time Sarton’s father had died and in 1958 she sold her parent’s home in Cambridge, Massachusetts and bought an old house in Nelson, New Hampshire, the subject of which became the basis of her next memoir, Plant Dreaming Deep (1968). It was only when she owned her own house and land in Nelson that Sarton first came to feel more American than European. 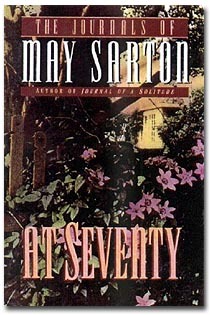 Before the publication of this memoir, Sarton had published two novels, The Small Room (1961) and Mrs. Stevens Hears the Mermaids Singing (1965). Frequently referred to as her “coming out novel,” the latter was embraced not only by “feminist” scholars but by lesbians as well and marked a turning point in Sarton scholarship; her work began to be studied in colleges and universities, especially in Women’s Studies programs. Articles appeared in feminist journals and books, and much would be written about this novel in the years to come. For Sarton this posed a dilemma; she celebrated the serious recognition her work was beginning to receive yet shunned the label “lesbian writer” which she felt narrowly limited the perception and focus of her work. She was and wanted to be seen as a universal writer and had, in fact, already written many novels about family and married life. Three volumes of poetry appeared during these years: Cloud, Stone, Sun, Vine (1961), A Private Mythology (1966) and As Does New Hampshire (1967). 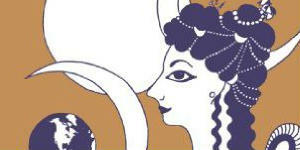 A Private Mythology contained her first published free verse. 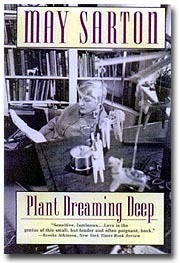 In 1968 Sarton’s landmark memoir Plant Dreaming Deep, appeared, a book Carolyn Heilbrun believed represented some of Sarton’s best writing and which led to their friendship. With the publication of this memoir Heilbrun credited Sarton with opening vistas for creative women by suggesting that a single woman, living alone, can have universal truths to tell. In 1971, after the publication of Sarton’s novella The Poet and the Donkey (1969), (referred to by Carolyn Heilbrun as “a commentary on Plant Dreaming Deep,”) and her generational novel, Kinds of Love (1970), the book of poetry, A Grain of Mustard Seed appeared. In 1973 a new chapter in Sarton’s life began with the sale of her house in Nelson, New Hampshire and with her move to Wild Knoll, the house in York, Maine. Although the first full length study of her works by Agnes Sibley was published in 1972, it did not necessarily bring greater critical acclaim. Ten years passed before serious critical recognition as a writer and poet developed, precipitated by the publication of May Sarton: Woman and Poet, edited by Constance Hunting. (1982). In 1973 Sarton produced one of her most influential books, Journal of a Solitude, written to counteract the benign picture projected in Plant Dreaming Deep. Journal of a Solitude would become a key text in women’s studies courses, influencing generations of feminists and opening the doors to a wider reading audience. Of it Heilbrun wrote: “I would name 1972 as the turning point for modern women’s autobiography … the publication of Journal of a Solitude in 1973 may be acknowledged as the watershed in women’s autobiography.” Her novel, As We Are Now, published the same year, also made an impact by its stark depiction of how society treats the elderly. Sarton’s first of two children’s books, Punch’s Secret, was published in 1974. A Walk Through the Woods followed in 1976. 1974 also marked the appearance of May Sarton: Collected Poems 1930-1973, important for many reasons, not the least of which was that many of Sarton’s earlier poems, and ones in volumes now out of print, were made available to a whole new generation of readers. In 1978, Serena Sue Hilsinger and Lois Byrnes published their Selected Poems of May Sarton. It is clear that the end of the 1970s marked an increasingly fertile period for May Sarton in which she honed the journal style and produced her third memoir, A World of Light: Portraits and Celebrations. As in the first two memoirs, Sarton delineated memorable portraits of the people who had most influenced and inhabited her life. With this publication she wrote, “I wanted to fill the gap between I Knew a Phoenix (which ends when I was twenty-six) and Plant Dreaming Deep (which begins when I was forty-five) by celebrating the great friendships that flowered during those years.” Included among these portraits are Elizabeth Bowen, Louise Bogan and Jean Dominique (Marie Closset). With the reissue in 1974 of her novel Mrs. Stevens Hears the Mermaids Singing in which Carolyn Heilbrun contributed an important introduction, Sarton’s work gained renewed recognition, especially by feminist critics. 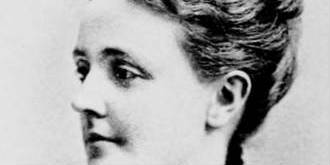 Her novel A Reckoning, published the same year, foreshadowed her own impending battle with cancer. The decade of the seventies ended with the production of the film,” World of Light.” A Portrait of May Sarton, produced by Martha Wheelock and Marita Simpson. Filmed in her house by the sea, described so eloquently in the 1977 journal by the same name, Sarton talks about her vision of life, her work and the muses who influenced her. 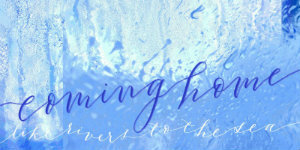 Familiar themes such as solitude, poetry, the natural world, and love in its many forms are all here. Unbeknownst to its producers though, at the time this film was being made, Sarton was facing a mastectomy which was performed shortly after the film’s completion. This surgery ushered in the beginning of serious physical challenges, which intensified during the next decade. Ironically, despite these circumstances, the 1980s were to be years of great productivity and acclaim. She discovered the thrill of “standing-room only” crowds at poetry readings and her readership grew dramatically. Also in 1980 a new book of poems, Halfway to Silence, and another journal Recovering appeared. In 1981 she collected some of her essays on the art and craft of writing, published by Puckerbrush Press as Writings on Writing. Included are the important pieces, “The Writing of a Poem” (1957) and “The Design of a Novel” (1963) previously delivered as addresses at Scripps College and published in pamphlet form by that university. 1982 brought the death of Judith Matlack. Theirs had been rich years together and her loss was keenly felt. Years later Sarton expressed the depth of her feelings for Matlack in a special edition publication entitled Honey in the Hive, consisting of poems and writings by Matlack with Sarton’s comments interspersed. It was through Matlack’s own writings, which Sarton had not seen before Matlack’s death, that she more fully realized how complex this wonderful woman had been, and what a rich, secret self she had possessed. 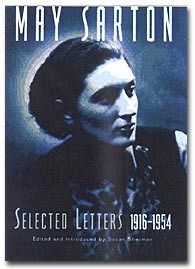 This year also included the publication of May Sarton: Woman and Poet edited by Constance Hunting, an important collection consisting of twenty-three critical essays by such scholars as Carolyn Heilbrun, Henry Taylor, Jane Bakerman, Constance Hunting, and an updated bibliography by Lenora P. Blouin. By 1984 Sarton could publish her journal, At Seventy, with a sense of renewal. She had recovered from the mastectomy and was again looking to the future. In the face of growing older and experiencing the limitations of illness, she wrote, “I am more myself than I have ever been.” Poems came again and were published in the volume, Letters From Maine. During the 1980s Sarton wrote three more novels: Anger (1982), The Magnificent Spinster (1985), based on the life of her dear friend Anne Longfellow Thorpe who had died in 1977, and The Education of Harriet Hatfield (1989). As the decade closed, Sarton moved from being “halfway to silence” to experiencing a greater silence expressed in poems in The Silence Now. The absence and death of beloved friends and animals would push her towards the “country of old-age.” Nevertheless the decade closed with the first of a new wave of important critical works which would appear in the 1990s. Elizabeth Evans’s May Sarton Revisited, published in 1989 opened the door to further critical studies as well as the publication, for the first time, of an anthology of collected works, Sarton Selected (1991), edited by Bradford Dudley Daziel. Excerpts from the journals, memoirs, novels and selected poems were introduced to new readers and reintroduced to faithful followers. An expanded edition of her collected poetry also appeared in 1994, covering the years 1930 to 1993. Other major critical works followed: That Great Sanity: Critical Essays on May Sarton, edited by Susan Schwartzlander and Marilyn R. Mumford and A House of Gathering: Poets on May Sarton’s Poetry, edited by Marilyn Kallet both of which came out in 1993. A national conference, “May Sarton at Eighty: A Celebration of Her Life and Work,” was held at Westbrook College/University of New England. A Celebration For May Sarton (1994), a collection of selected essays presented at the conference, was edited and published by Constance Hunting. 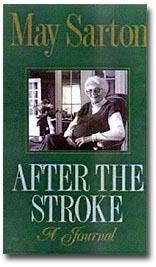 As a result of the stroke and its consequences, by 1990 Sarton found herself unable to write or even concentrate, a state which lasted for months. Gradually she began to experience periods of strength and the drive to create began to stir in her again. Both writing or typing were difficult so she turned to a tape recorder and her journal, Endgame: A Journal of the Seventy-Ninth Year (1992) was recorded and transcribed from a cassette. Although she became increasingly dependent in certain outward ways, she refused to lose her independence. Endgame was followed by an even stronger Sarton dictating her 1993 journal Encore: A Journal of the Eightieth Year. In this affirmative work she once again celebrates her life, in spite of the many limitations imposed by what she now refers to as old age. 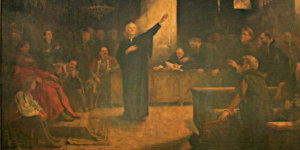 Poetry had returned, resulting in a last volume of verse Coming Into Eighty. Many of the poems, in which Sarton radically changed her form, had earlier appeared in Poetry magazine which awarded her the Levinson Prize for Poetry in 1993. Sarton’s final book, At Eighty-Two: A Journal, published posthumously in 1995, covers the year from July, 1993 to August, 1994. Although she admits she is a “stranger in the land of old age,” as she struggles with daily setbacks, there is still her intense love for life and all its challenges. Many friends, near and far, communicated with and helped May Sarton in the final years of her life, but one stands out among these: Susan Sherman, to whom Sarton’s journal, Encore, is dedicated. Her loving care included not only preparing meals, bringing flowers, reading, and sharing movies, but as editor of Sarton’s collected letters, she was involved in working on and planning for the eventual publication of the vast body of Sarton’s letters and unpublished poems. Ms. Sherman provided a quality to Sarton’s life which had, through illness and pain, been diminished. As a gift for her eightieth birthday, Sherman produced a remarkable festschrift, Forward Into the Past, which assembled tributes from sixty-seven professional and intimate friends, many of whom Sarton knew from the 1930s, like Sir John Summerson and Irene Sharaff. Sherman published the first of her Sarton projects in 1993, May Sarton Among the Usual Days and later, the first volume of a projected multi-volume set of letters entitled May Sarton: Selected Letters 1916-1954. In 1999 W. W. Norton will publish Dear Juliette, Sarton’s letters to Juliette Huxley, “the most enduring muse of her life” according to Sherman. Sarton had first met the Huxleys in the 1930s while visiting England and from this first meeting their relationship developed. Although interrupted by years of silence and misunderstanding, their correspondence resumed in the 1970s and Sarton was finally reconciled with Juliette whom she had never stopped loving. During her lifetime Sarton rued the fact that for most of her writing life, the major critics and the literary establishment had ignored or dismissed her work. The massive number of letters she received each week from her “fans” could not assuage the hurt over this neglect and yet even now after her death, more than forty of Sarton’s books are still in print; Journal of a Solitude has never gone out of print since it was first published in 1973. Critical recognition, having come late in her life, has grown and will continue to grow into the future, positioning May Sarton in her rightful place in literary history. What more this one might need. As if a hawk were near. I wept hot tears like blood. And in the slightest gesture Love revealed. Peters, Margot. 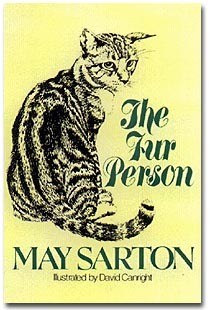 May Sarton: A Biography . New York: Alfred A. Knopf, 1997. Barton, May. Collected Poems, 1930-1993 . New York: W.W. Norton & Company, 1993.